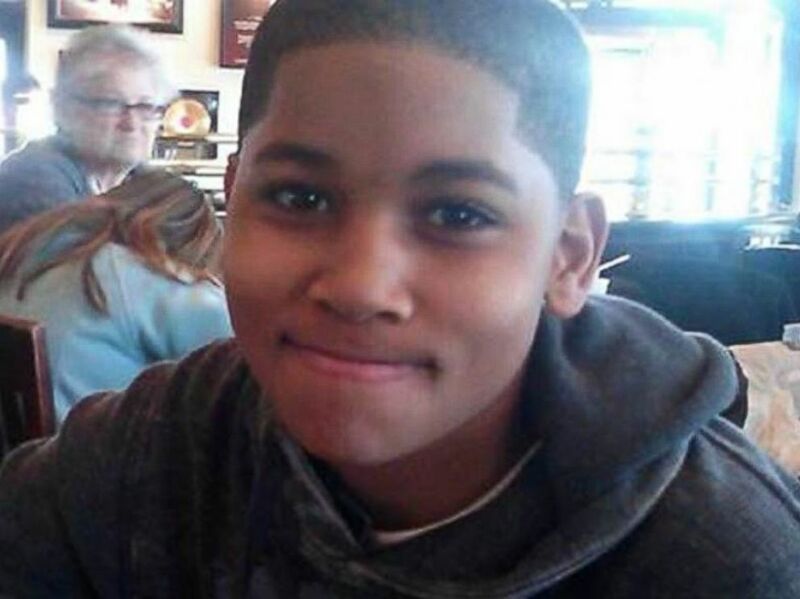 The officer who shot 12-year-old Tamir Rice in Cleveland last year, said he "knew it was a gun and it was coming out" before he opened fire and repeatedly warned the boy to put his hands up, according to newly released statements from the cop and his partner. The unsworn statements given Monday to the Cuyahoga County Sheriff’s Department and released today by the Cuyahoga County Prosecutor’s Office, mark the first time that officer Timothy Loehmann and his partner's versions of events has been made public. Rice had been holding a toy gun when officer Timothy Loehmann allegedly shot him in November 2014 and claimed in his statement that he was aiming for the 12-year-old's weapon. Loehmann said he and his partner responded to a report of a "male waiving [sic] a gun and pointing at people" and he saw the suspect put something into his waistband. When Rice turned towards the patrol car, Loehmann claimed he "yelled continuously 'show me your hands' as loud as I could," the statement said. Loehmann said the suspect "appeared to be over 18 years old and about 185 pounds." "The suspect lifted his shirt reached down into his waistband. We continued to yell 'show me your hands.' I was focused on the suspect," Loehmann wrote. "Even when he was reaching into his waistband, I didn't fire. I still was yelling the command 'show me your hands.'" Loehmann said the suspect "had been threatening others with the weapon and had not obeyed our command to show us his hands," according to the statement. "He was facing us. This was an active shooter situation." "I had very little time as I exited the vehicle...I observed the suspect pulling the gun out of the waistband with his elbow coming up," he wrote. Video shows rice being shot in less than 2 seconds after car door opens. Loehmann said he and his partner were still yelling "show me your hands." "With his hands pulling the gun out and his elbow coming up, I knew it was a gun and it was coming out," he wrote. "I saw the weapon in his hands coming out of his waistband and the threat to my partner and myself was real and active." He said he fired two shots, aiming towards the gun in Rice's hand, the statement said, based on "tap-tap" training. Loehmann's partner, Frank Garmback, wrote that he saw Rice pulling the gun "from the right front area of his waistband. I thought the gun was real," his statement said. Garmback said he and Loehmann both directed the suspect to show his hands. He also wrote that he believed the suspect was over 18. The investigation by the Cuyahoga County Sheriff's Office has been unable to substantiate any claims that Loehmann and/or Garmback issued any verbal commands to Rice prior to the shooting; the investigation determined that no witness was close enough to the scene to hear the alleged commands. A grand jury is currently hearing evidence in the Rice shooting to determine if any charges will be brought against the officers. The Cuyahoga County Prosecutor’s Office would not comment on whether the officers' statements have been presented to the grand jurors but said the statements were "released in keeping with our determination to be as transparent as possible in this and other police use of fatal deadly force cases." Cuyahoga County Prosecutor Timothy McGinty said, “The investigation is continuing and ultimately the Grand Jury will make its decision based on all the evidence." The officers' statements to the sheriff's office were not sworn, the prosecutor's office said. The officers' attorneys could not be immediately reached today for comment. Rice family attorney Jonathan Abady slammed the statement. "Allowing defendant police officers to submit unsworn statements in response to grand-jury subpoenas that call for their live testimony is again a stunning irregularity further tainting these proceedings," he said. "No regular target of a criminal investigation would be afforded this opportunity." Abady also said the officers' statements were "inconsistent with each other" and "flatly contradicted" by video footage. Reports released in October from two outside experts who examined the use of deadly force in the case concluded that the shooting was "reasonable." The family’s law firm submitted to the prosecutor last week, two reports from outside experts which reach an opposite conclusion, that the shooting was unreasonable. “We understand that the presentation of these reports, making clear the shooting of this 12-year-old-boy was completely unjustified and unreasonable, will likely not undo the damage already done to the grand jury process, but we think it important that the grand jury be given the opportunity to consider the testimony and findings of true experts to explain why this killing was unjustified,” Abady wrote.